What is Balochistan’s demand? Basically, they demand maximum autonomy and an appropriate share of the earnings from their natural resources. Both demands are genuine, and a lot was done by me. More could be and should be done. The major requirement, however, is socio-economic development, which the sardars almost totally ignore. My government from 1999 started with complete realisation of Balochistan’s sense of deprivation and a resolve to correct the situation. What we did and achieved in Balochistan in eight years can be safely said to have been more than what was done during the previous decades since independence. Let me elaborate on our achievements during my period. Gwadar is located only 180 nautical miles from the Strait of Hormuz through which 40% of World’s Oil passes. Gwadar can thus emerge as the key shipping hub in the area providing mass trade to central asian republics as well as across Pakistan and China. A road from Gwadar to Saindak is completed. Saindak is already connected to the RCD Highway (N35) and through Quetta-Chaman it provides the shortest route for trade with Central Asian Republics. 1. a. We created a new deep-sea port at Gwadar. The port, an alternative to Karachi port, has tremendous strategic significance. b. 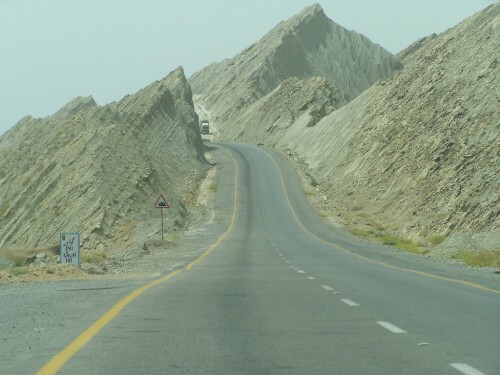 A 750 kms coastal highway linking Gwadar to Karachi was constructed. c. Work was initiated on a 950 kms road from Gwadar to Rato Dero in Sindh, linking the port to the Super Highway, the RCD Highway and the National Highway. d. A Quetta-Zhob-Dera Ismail Khan linking Balochistan to Khyber Pakhtunkhwa was started. e. A road linking Quetta-Loralai-Dera Ghazi Khan linking Balochistan to Punjab was started. f. A road linking Gwadar, Turbat and Mand on the Iranian border was started and completed. 2. a. 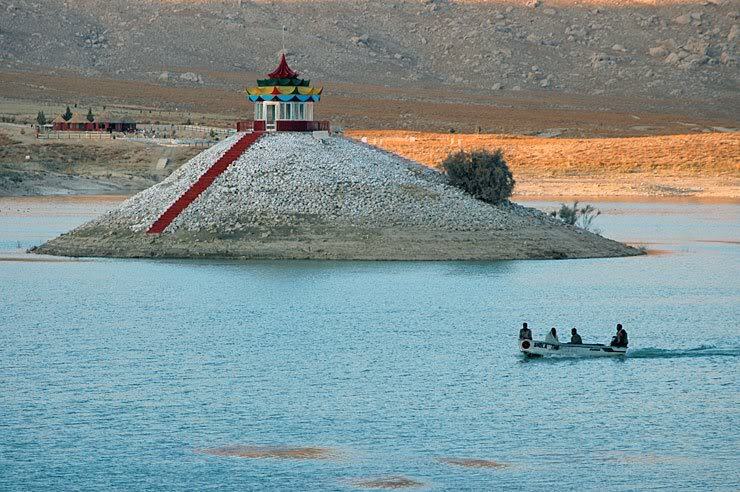 Two new dams, Mirani and Subukzai, were constructed for the irrigation of barren lands in Baloch and Pakhtun areas, respectively. b. Over 100 small delayed-action dams were created. c. Construction of a more than 500-kms-long Kachi Canal off-taking from Taunsa Barrage and irrigating barren lands of Dera Bugti and Jhal Magsi. d. Over Rs10 billion were spent on an underground water project for Quetta to overcome the critical drought conditions of the city. 3. A pipeline was laid and gas taken to Kalat, Ziyarat and Pishin, which had been considered economically unviable projects. 4. Electricity was imported from Iran for the electrification of the coastal belt up to Turbat, Panjgur and Ormara. 5. Work on the stalled Saindak copper mine was reinitiated. The largest copper gold mine project, Reko Dik, was allotted to the top-of-the-world Chilean-Canadian consortium. Pakistan was supposed to get on the copper/gold map of the world by 2011. Unfortunately this key project is closed now and a legal case has been initiated by the consortium in the International Court. Some of these projects have now been stalled and are incomplete. 6. a. A project for opening seven cadet colleges was launched. Three at Qila Saifullah, Pishin and Jafarabad were opened, but the other four have now been stalled. b. Universities: An IT University and a Women’s University in Quetta, and a Marine Sciences University at Lasbela and an Engineering University in Khuzdar were opened. c. Vacancies for the Balochistan’s youths were increased in medical and engineering universities in Punjab and Sindh. d. The army was told to open special vocational training centres in Quetta and Sui and also to induct Baloch youths in all the other centres. 7. The army was told to take special measures to increase the induction of youth from Balochistan as officers and men in the army. Special training centres were opened to prepare potential Baloch youths for qualifying for the army. An Inter-Services Selection Board (ISSB) was also opened in Quetta for the administrative convenience of Baloch youths. Today the army boasts of a substantial number of Baloch officers and men in their ranks in accordance with proportion population. 8. The POF Wah, the HIT Taxila, the Aeronautical Complex were all told to select Baloch youths for training in their respective workshops and subsequent induction. Thousands of jobs were thus created for the Baloch. 9. Anyone who received a masters degree in Balochistan was guaranteed an interim arrangement of a one-year government job with a salary of Rs10,000 per month. 10. Uniquely, the Public Sector Development Projects fund allocation for Balochistan was more than that for Punjab. Each district of Balochistan was given a special allocation of Rs100 million in 2006 over and above their annual funds. Kohlu and Dera Bugti were allocated Rs1.5 billion each as a special socio-economic development fund for roads, water projects, schools, dispensaries. In spite of all my sincerity and good wishes for Balochistan, and in spite of all that I achieved for this neglected province, there were Baloch elements opposing the government. There were 67 “Ferrari camps” (for miscreants and terrorists) spread all over Balochistan killing people of other ethnicities (especially Punjabis), blowing up and damaging national infrastructure, waging a guerrilla war against the FC and the army and challenging the writ of the government. Quite clearly, the sardars manipulating these terrorists are not interested in any development in Balochistan for its people. They were, and remain, against Pakistan. They are separatists and will remain so. All the Ferrari camps were dealt with and eliminated by the government. The question that Pakistan political leaders have to answer is: to what extent should we be appeasing such anti-national elements? Should we be engaging in dirty politics for narrow, short-term gains at the cost of a very serious long-term loss to Pakistan? Today, Changez Marri – the brother of anti-Pakistan Harbiyar Marri, who is living abroad in self-imposed exile, is for a totally independent Balochistan, and is behind terrorism in Balochistan – is senior vice president of the PML-N. What kind of politics is this? Balochistan needs a stick-and-carrot policy. Stick for the anti-Pakistan and anti-Balochistan elements and lots of carrots for the vast majority, the deprived people of the province. The media must also understand the Balochistan issue in its entire complexity and stop giving anti-Pakistan elements a platform to project their nefarious designs. Groups like Human Rights Watch should stop meddling in Balochistan’s affairs without understanding the depth of the problem. As long as the armed forces are as strong as they are, Pakistan can never become a banana republic. All Pakistanis must rise as one for the integrity of our motherland.